Trust, Honesty, Collaboration, Professionalism, Accountability, Curiosity & Care is at the heart of everything we do. If you're dreaming about your future career or looking for that perfect fit for you team, contact our award-winning recruitment specialists today! Our office in 13 Fitzwilliam Square E, Grand Canal Dock, Dublin 2 is open 8.00am - 5.30pm Monday - Friday. In 2009, Shona McManus joined Osborne Recruitment's Head Office in Dublin as Managing Director. Fast forward four years later, Shona is the new owner and CEO of the company. Osborne's 2nd and 3rd offices quickly followed in Blanchardstown and Drogheda in 2014 and 2015 with a complete brand transformation in 2016. Since 2013 the team has grown by 400% with 5 strategically located offices in Ireland and one international office in Canada. 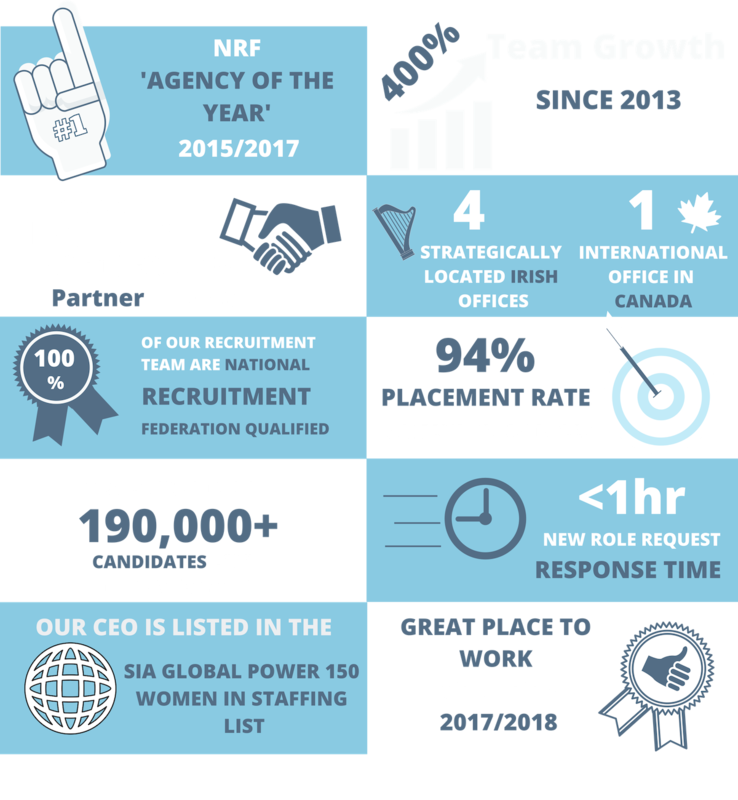 Located in Fitzwilliam Square, our team of Award-Winning Specialist Recruiters are on hand to help you find your perfect job or future employee. New Business/ Account Management role – Apply today!